Purposeful (2018) is an exciting guidebook to getting your big ideas for change off the ground. 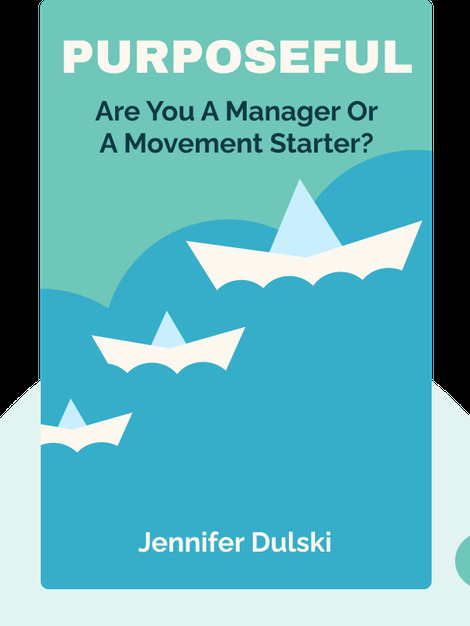 Drawing on her experience at Change.org, author Jennifer Dulski shows how popular movements get started, how they build a following and, finally, how they enact real change in the world. Dulski offers plenty of real-world examples, from how leaders inspire loyalty to the best tactics for getting powerful decision-makers on your side. 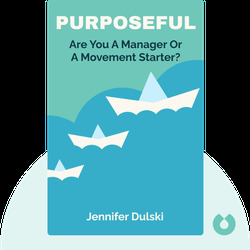 Jennifer Dulski has been an executive manager for both ambitious start-ups and giant internet companies like Yahoo. Before her current role as head of the Group and Community division at Facebook, she was the COO and president of Change.org. Her writing on modern trends in leadership and entrepreneurship has been featured in such publications as the Huffington Post and Fortune magazine.